The General Assembly of FAINATRASIT (StreetNet affiliate from Togo) took place on August 27th, 2018 in Lomé city under the following theme: The Informal Economy and the Transition towards the Formality: the Role of FAINATRASIT. 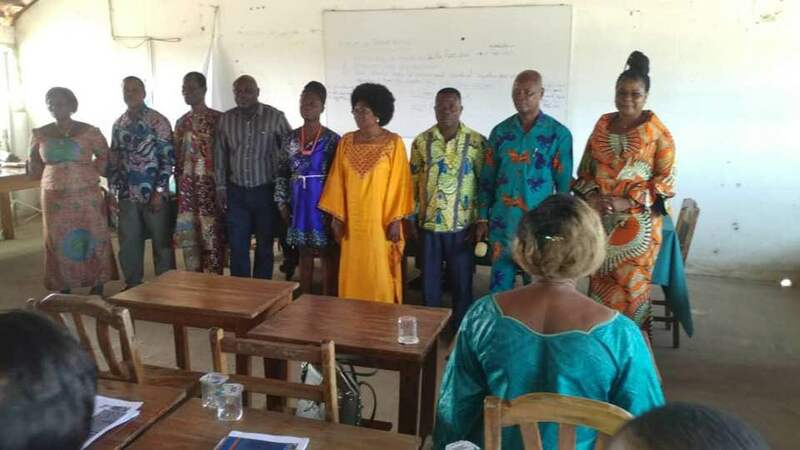 61 Delegates, 44 of whom – women from 19 Organisations affiliated to FAINATRASIT (out of 23 participated in the General Assembly of FAINATRASIT which activities were carried out in the CSTT (Togo workers Confederation union) Conference Hall. The delegates decided to set up a commission to amend the Constitution of the organization. The delegates elected the members of the National Executive Board of 9 people, among them 4 women. Badawi Kozon spouse Balli is the President. Komi Mensah Kessouagni, in charge of the StreetNet Regional Focal Point in the sub-region is the Vice-President. Opari Helène Nayo was elected as the Treasurer. 3 Technical commissions have been created: Women Commission, Management Audit Commission, Organising Commission. The closing ceremony took place in the presence of Madam Liliane W. Napoe, International Adviser from the office of Lomé, LO-FTF Danemark and the StreetNet Organiser for Africa. With the support of StreetNet, FAINATRASIT has to largely inform the leaders of associations affiliated to FAINATRASIT about the content of the ILO Recommendation 204 and bring along strategies so that the Recommendation can be effectively implemented. FAINATRASIT must centralize the demands of all its organizations affiliated in order to set up a platform for discussions. FAINATRASIT has to work in collaboration with the trade-union confederations of Togo to start discussions about the ILO Recommendation 204 with the Government of Togo in the viewpoint of a social dialogue. With the support of LO-FTF, a technical committee has been set up in Togo to coordinate the effective implementation of the ILO Recommendation 204. FAINATRASIT is member of the above-mentioned committee and must exploit that opportunity. The seminar was facilitated by the StreetNet Organiser for Africa, Sibailly Douhouré.